This fun apron makes a great hostess gift! Available in adult and toddler sizes so the whole family can enjoy. 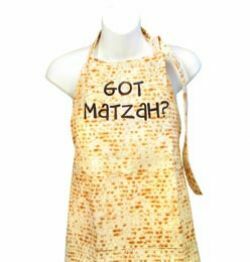 Sturdy matzah print apron that says "Got Matzah?"